This is what modern specialist transportation looks like. 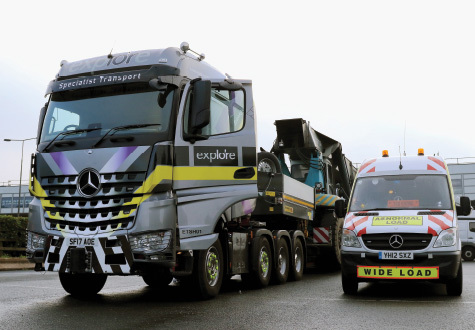 Our combination of cutting-edge technology and a versatile, reliable fleet means we have the ability and the expertise to deliver any type of abnormal load up to 250 tonnes. With a fleet including the best in class products from Faymonville, Nooteboom, and Broshuis, our customers enjoy a first rate fleet at their disposal. Our bespoke services, including route surveys, movement orders, BE16 special orders, test drives and swept path analysis, mean our customers can rely on our expertise, experience and commitment to safety. We don’t cut corners when it comes to safety. That’s why we’ve developed specialist hoist and strapping systems for all our vehicles, and our entire fleet comes fitted with 3G G-Force activated multi-system cameras. It’s why every member of our specialist team is highly trained and experienced, with an average of 20 years of experience under their belt. 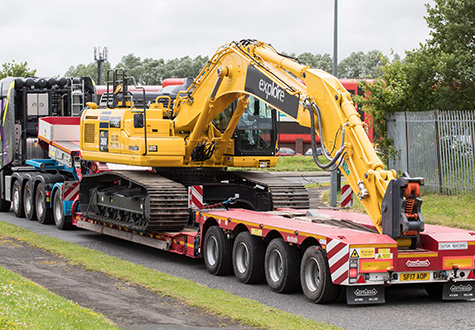 And it’s why every vehicle in our fleet is fully FORS Gold and CLOCS compliant, with our pioneering innovations in design making our vehicles lighter, shorter, and safer. Our technology achievements and standards move specialist transportation into the future. Our bespoke Transport Management System allows us to monitor and report the precise ETA on all of our vehicles, giving you reliable real-time updates on any phone or tablet. Our centralised planning function, manned 7 days a week by a highly trained support team, means we deliver on efficiency, speed, and safety. 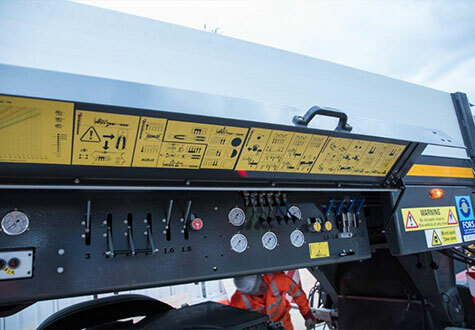 With our live tracking system and telematic updates, our customers have the power to stay on track and on schedule. We do things differently. 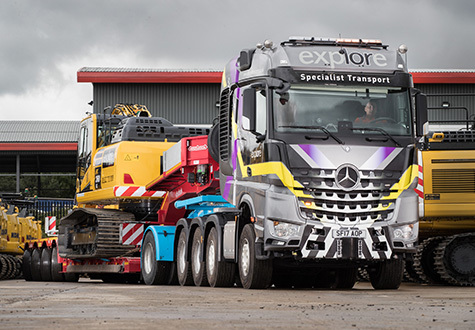 Our specialist fleet includes 150 tonne, 180 tonne, and 250 tonne Mercedes tractor units, 65 and 80 tonne Scania tractor units, plus both Rigid and Artic Lorry Loaders – and all of them are fitted with our innovative load securing systems, making them safer, quicker, and more efficient. We’re taking specialist transportation to a new level.